Green Pantry kibble adds up to 30 times the average cat food. 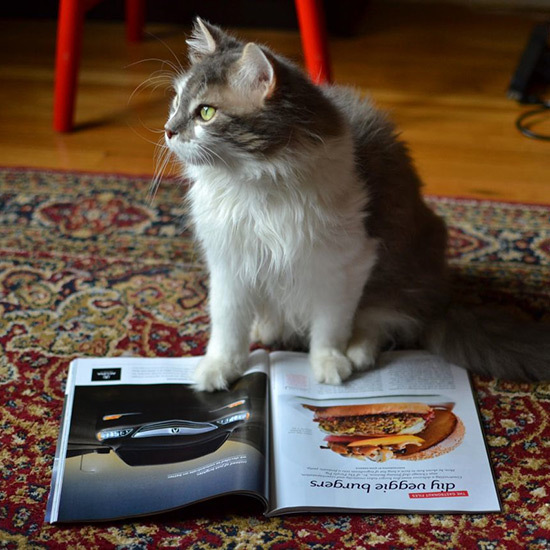 How much would you pay to give your cat the ultimate culinary treatment? That's the question being posed by one British brand that has created the world's most luxurious bag of kitty food, with a hefty pricetag of about $1.53 per mouthful. The United Kingdom-based brand Green Pantry recently launched a line of fancy feline foods that will set customers back $918 per month, or $11,000 a year. According to Forbes, at $306 per 2kg package—or about 10 days' worth—this pricy kibble costs about 30 times the average cat food. The reason for the exorbitant cost appears to be upscale ingredients including hand-caught Norfolk lobster, locally sourced Devon crab, line-caught Scottish salmon, and even Arenkha caviar for the most high-brow of feline friends. 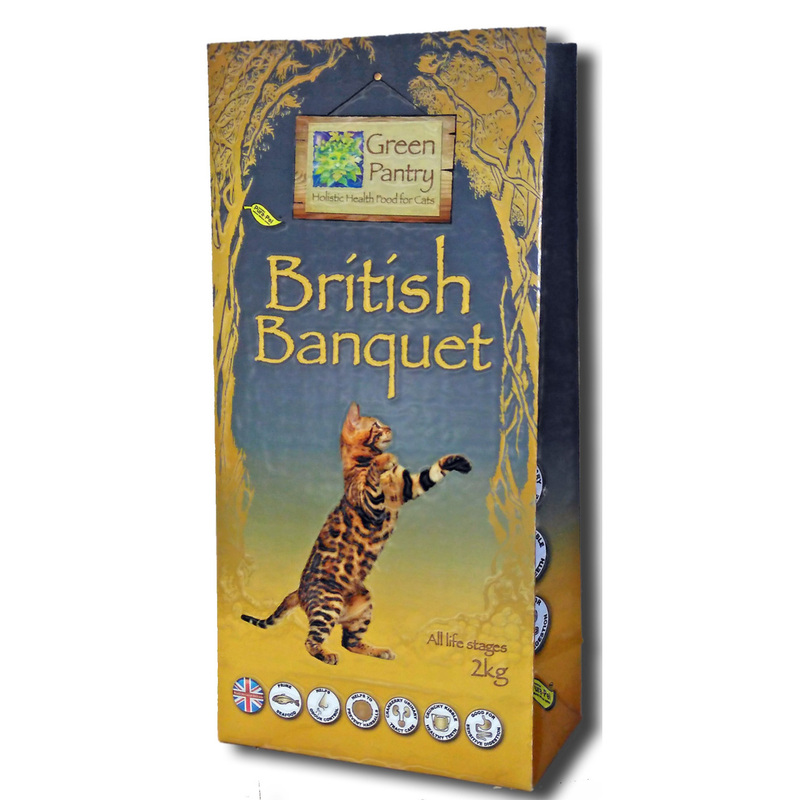 The "British Banquet" line is also free of preservatives, additives, or artificial colors and made with only the highest-quality ingredients from around the U.K., including asparagus, quinoa, and saffron. While some cat lovers might consider it a solid investment in their kitty's happiness, others, including feline veterinarian Dr. Eric Dougherty, say the idea is a mere gimmick. "At $11,000 per year, this is clearly a product tailored for the one percent," Dougherty tells Forbes. "Odds are, the people who would buy this cat food are the same people who would splurge $5,000 on a burger." Dougherty, who is Medical Director of The Cat Practice in New York City, also notes that the ingredients, while luxurious, are most likely not what your cat wants or needs. "Cats are obligate carnivores, so foods like asparagus, quinoa or saffron are not necessary at all," he says. "And while I think this luxury cat food could make for a nice treat once in a while, what cats really need are high-quality protein like duck, turkey, or chicken and lots of water within their diet." He also notes that a diet consisting primarily of seafood could in fact be harmful to felines, possibly resulting in Pansteatitis, mineral deficiencies, and cardiac risks. However, Green Pantry Co-Founder and Managing Director Simon Booth believes he's filling a need for high-quality cat culinary experiences in a market that favors pampered pooches. Though the food is too expensive to mass-produce, bags of British Banquet can be purchased by special request on the company's website. While shipping within the U.K. is free, cat lovers in the United States will have to pay $61 per order for shipping—or an extra $2,196 annually. Let's just hope that after shelling out those big bucks, your pet approves of the nutritional balance of the food.